Info: With their latest album „1023“ the German Electro band ROTERSAND has undeniably proved to be the scene’s leading Future Pop act. The trio successfully manages to combine hard dance beats with catchy tunes but also creates a gloomy atmosphere by using soft and mystic vocals. They meet the expectations of a demanding audience with unique elegance without lapsing into the stereotypes of club EBM-projects. As early as in 2003 ROTERSAND has started to combine trendsetting and club-compatible electro sounds with excellent song writing. When listening to their music it becomes clear that the influences of this unique band are manifold: EBM, Techno, Pop and even classical music. They have also had many chances to demonstrate their exceptional status with energetic and charismatic live performances, like recently while touring with their soul mates COVENANT. The latest EP release of the hit song „I Cry“ from their last album impressively proves that the band has reached their aim to „unite beats with beauty”, as they call it. „I Cry“ contains six remixed songs and two completely new ones: „Mission“ und „Call Me Stupid“. The first limited version furthermore includes an additional DVD with rare material such as the live version of „Undone“, plus three live video clips from the last tour with COVENANT and a detailed interview with the musicians. 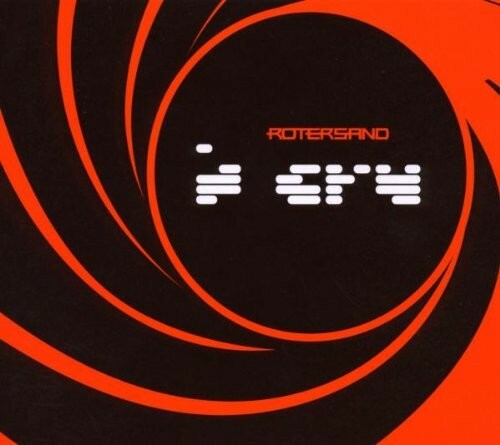 „I Cry“ by ROTERSAND provides melancholic, personal and complex electro tracks - sometimes seductive, sometimes stirring- and always up to date. Customer evaluation for "Rotersand - I Cry CD+DVD (Lim2000)"